A fresh combination of smooth elements. A light to medium cigar and a sweet drink. 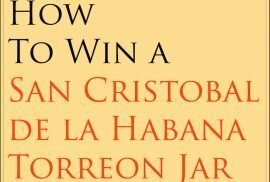 Something really recommended for amateur cigar smokers. A few days ago we were invited to a small event for cigar aficionados in a famous club. 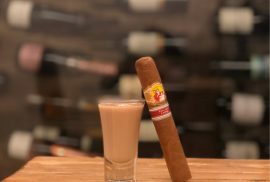 The reason behind this event was to try and pair this Romeo y Julieta Petit Churchill with a Mojito (Actually prepared for you after a short 3 minutes lesson). We found it interesting and very interactive. Surrounded by people with the same intrigue about it. As its own name suggest, the Petit Churchill is a very small cigar. It is 102mm long and a ring gauge of 50. Quite similar to a Quai D’Orsay 50. The wrapper was immaculate. A very appealing light brown wrapper. When I smelled it, I didn’t notice much, it was then when I knew how light that cigar was going to be. There was a table at the entrance where all the ingredients were placed. A barman was waiting to teach you how to prepare it. Even though I knew how to prepare a Mojito, there are always some details that you never consider important such as the order, temperature and the perfect mixture of ingredients. That’s what I learnt and it is very important to consider. First make sure you put on an empty glass the Rum, the lime, the sugar and the peppermint (break the branches first because all the flavours are inside them). After putting those ingredients together, steer with a spoon (30 seconds). It’s important to create a perfect balance between all of them. Then put some crushed ice and steer again (10 seconds). We do this to cool down the mix. The last step is pretty simple. Fill up the whole glass with crushed ice and then put soda in it. The final touch consists in putting a few drops of bitter. Stick your straw and it’s ready to enjoy! I light my Petit Churchill with a small cedar stick. Normally I don’t use lighters, just matches or cedar, burning the foot slowly and uniformly. The first draw is fantastic. The amount of smoke is remarkable. It’s normal, being 102mm long only has its perks. The flavour is bitter, but not too bitter. It only covers the back of my tongue and a small part of my front palate. I remember when I smoked La Gloria Cubana Paraiso 2014, the flavours were all over my mouth, specially in my throat. It’s surprising how cigars are constructed and how they affect in different ways. Normally when I review a pairing I review third by third. With the Petit Churchill I will review the first half and second half due to its size. Like I said at the beginning, the first draws are bitter. But just the normal bitterness you find on any cigar. For those that read my reviews, I try to avoid attributes that are not easy to understand. This Cigar is not strong. After a couple of draws I don’t feel too excited about it. After 2-3 puffs I drink from my cold mojito. The feeling is great. It calms the bitterness as expected and freshens my mouth pretty quickly. The smoke is great though. The taste is nothing special, maybe I’m more a medium bodied cigar lover, but the quantity of smoke is something that I enjoy a lot. The ash is beautiful and firm. I even managed to easily put my cigar upside down standing by the ash. My rating of the first half of the cigar is 6/10. Not because it’s bad, just because is not for me. Better for young amateur cigar aficionados. Every cigar gets better by the end of it. Same happened with the Petit Churchill. The smoke was super intense, the ash was perfectly steady and flavours started to develop. A peppery and spicy flavour started to be more present which is the style of flavours that I enjoy. By then I had to prepare another Mojito which paired nicely. However, it was still weaker than my preferred pairings. Not much more to say about this actually. It was short and quick. Smooth and sweet. Something that cigar amateurs would love. The price was good, the Mojitos and the Cigar only costed 12€. A nice way to start the week (it was Monday), so nothing to complain about. 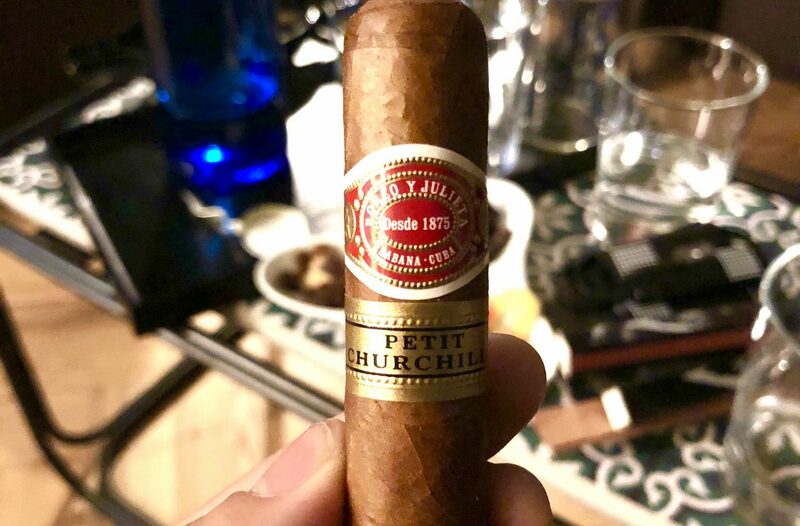 Have you ever paired the Romeo y Julieta Petit Churchill? Tell us more about it in the comments section below! 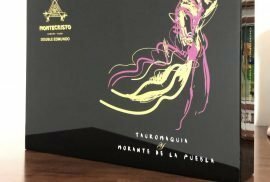 Check all the Romeo y Julieta Cigars here.